Now that the warm weather is here, Manitobans must deal with the usual array of summertime pests, including a multitude of insects and arachnids. And while most of these creatures tend to be more of a nuisance than anything else, there are two exceptions to the rule: the blacklegged tick and the Culex tarsalis mosquito. That's because unlike most of the other tiny vectors in our province, these two happen to be responsible for spreading a number of potentially debilitating diseases. The blacklegged tick, for example, is responsible for spreading Lyme disease, anaplasmosis and babesiosis, while the Culex tarsalis mosquito is a carrier of West Nile virus. Monitoring for blacklegged ticks in Manitoba began as far back as 1996. Over the years, the blacklegged tick population has expanded throughout southern Manitoba, and is the main reason why the number of confirmed and probable cases of Lyme disease has risen from 11 in 2009 to 56 last year. In addition, there have been 29 confirmed and probable cases of anaplasmosis and one of babesiosis reported since 2015, the first year the province started tracking these illnesses. All three of these tick-borne diseases attack the nervous system. People infected can experience a range of symptoms, including headache, fever, joint aches and fatigue mimicking flu-like symptoms. 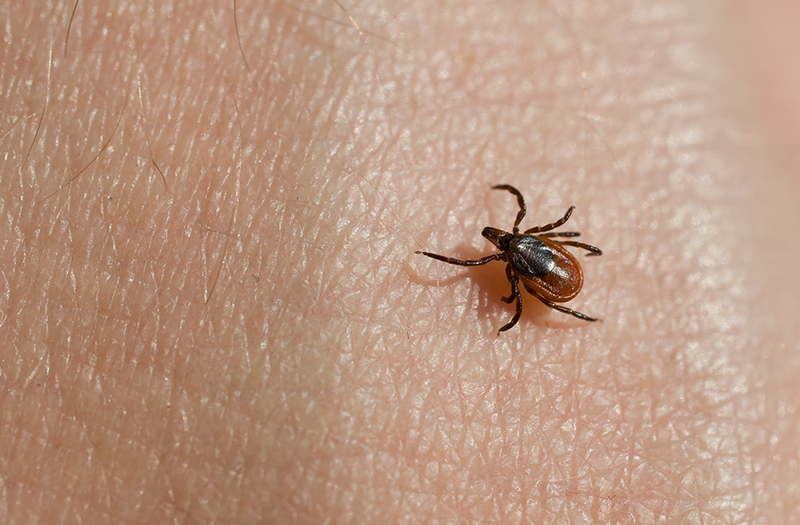 In addition, a person bitten by a tick carrying Lyme disease will often notice an area of expanding redness on the skin near the site of the bite. Not all individuals infected will present all of the symptoms. The good news is that these diseases can be treated with antibiotics. But early detection is key. Left untreated, these diseases can result in severe illness and, on rare occasions, death. Learn to recognize the blacklegged tick and teach your children to do the same. One of the challenges people have in guarding against blacklegged ticks is that they are smaller than other ticks, making them difficult to spot. The provincial government website describes an unfed adult female blacklegged tick as measuring less than five millimetres in length with bright red and dark brown colouring. Adult males are smaller than females and are dark brown. By comparison, the common dog tick, which does not transmit disease, has white markings on its back. Use a tick repellant and make sure to check yourself over after spending time outside. Walk along the centre of hiking trails or paths whenever possible. This will help reduce the risk of coming into contact with ticks that frequent wooded areas and tall grass. In addition to guarding against tick bites, Manitobans also need to be conscious of the health risk posed by the Culex tarsalis mosquito. While there are many different types of mosquitoes in Manitoba, only the Culex tarsalis is known to spread West Nile virus, an infection that also attacks the nervous system. While some people infected with West Nile virus do not get sick, others may experience symptoms ranging from mild (headache, fever, fatigue and body aches) to severe (swelling of the brain, coma). In rare cases, the virus can cause death. The only treatment for West Nile virus is supportive care. 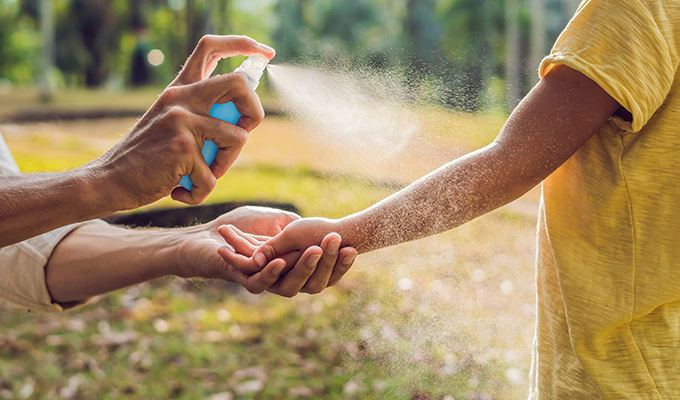 Using mosquito repellant when going outdoors and wearing light-colored, loose-fitting clothing with long sleeves and pant legs while outdoors. Reducing time spent outdoors between dusk and dawn. Making sure your doors and window screens fit tightly and are free of holes. Reducing the mosquito habitat around your home by regularly cleaning and emptying water-holding containers such as bird baths, wading pools, children's toys, eavestroughs, tarp covers and plant trays. For more information on vector-borne diseases, visit the Manitoba Health website at https://www.gov.mb.ca/health/publichealth/cdc/tickborne/index.html. Dr. Bunmi Fatoye is a medical officer of health with the Winnipeg Regional Health Authority. This column was originally published in the Winnipeg Free Press on Friday, May 18, 2018.